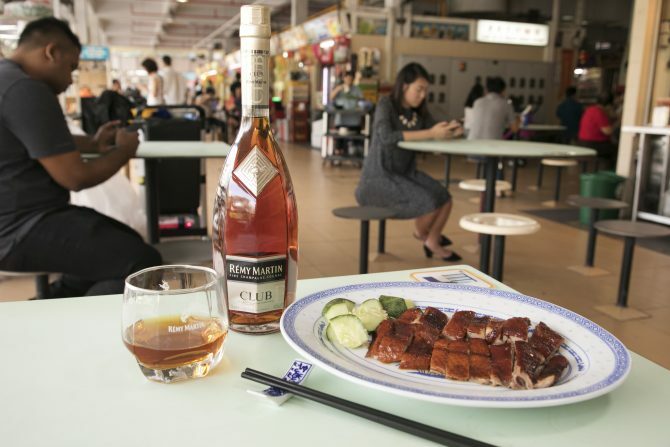 Keeping to the lines of rich foods-pairing, we sip on Rémy Martin CLUB between bites of the succulent roast duck ($29 for half duck). This time around, the cognac is drunk neat which showcased the unadulterated mix of fruity and oaky flavours. The combi did not impress as much as the previous satay-pairing as we found ourselves savouring the roast meat on its own, while blatantly leaving our glasses untouched.